Offering free breakfast and free Wi-Fi, Hazel House features a sunny courtyard, relaxing spa pool and views across the city to the harbour from the front veranda or from the guest lounge. 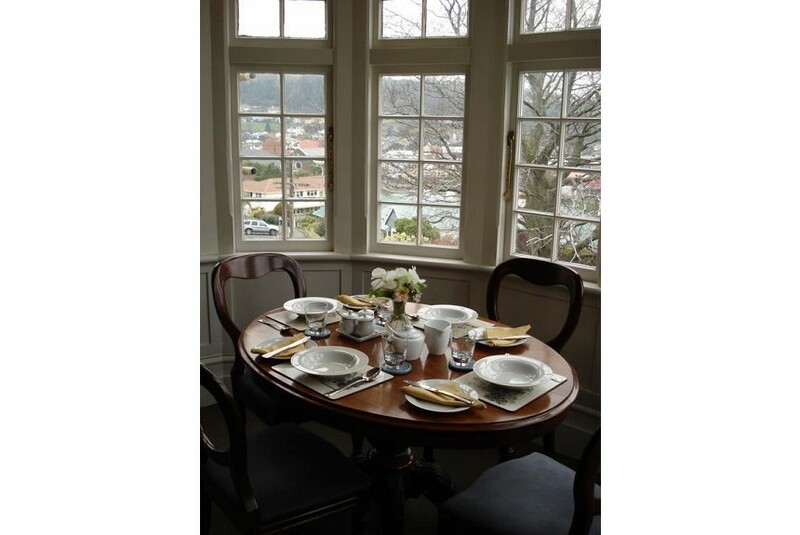 Featuring high ceilings and leadlight windows, Hazel House Boutique B&B is in a quiet and peaceful location, just 5 minutes’ drive from Dunedin city centre. Dunedin Airport is 20 minutes’ drive away. Hazel House offers a choice of 2 elegant rooms, each with electric blankets, central heating and an iPod docking station. The private bathrooms include bathrobes and a shower, while one of the rooms also has a separate bathtub. Breakfast is included each morning. The continental-style buffet includes breakfast cereal, fruit salad, yoghurt and fruit juices. Cooked options include eggs, bacon, hash browns and sausages. The large guest lounge includes a plasma-screen TV with satellite channels, plus a selection of books and board games. Guest laundry facilities and an outdoor BBQ area are also provided.